Please find below details of dr feelgoods this tattoo studio is located in the town/city of Poole in Dorset. 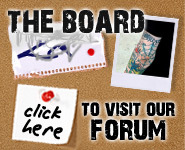 We have 10 reviews for this tattoo studio, if you would like to add a review - click here. Hi.I am from Portugal and I visited Dr Feelgoods this month on a recommendation from a friend .the tattoo work is perfect thank you the colours are so bright and the design very clear .i an very pleased and recommend to all . I am exceptionally pleased with the service I have received from Dr Feelgoods. I have been there 3 times in the last few weeks for various tattoos and each time the guys in there have been amazing. They make you feel very welcome and put you at ease in a very friendly manner. I am going back in the next few days for larger side/rib design, and have no worries that the service I'll receive will as good as previously experienced. Perfect , great piercing recommend to all my friends and anyone who wants a piercing in my area. This is my latest visit to Dr Feelgoods ,once again perfect work.I have been Tattooed here many times and say without a doubt Dr Feelgoods is the best Tattoo studio in Poole or Bournemouth area ,in fact in the south. Thought it wdolun't to give it a shot. I was right.